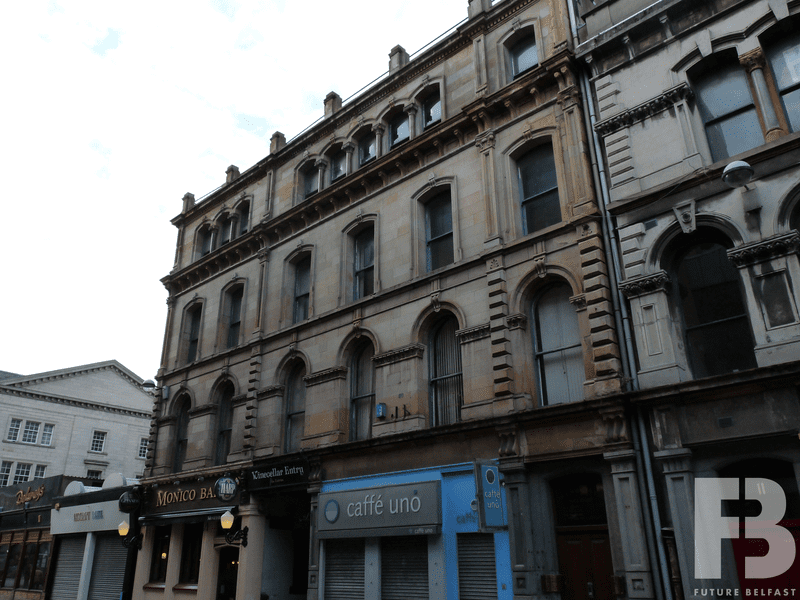 A four storey building designed by Thomas Jackson & Son for Mr Patrick McGinness. 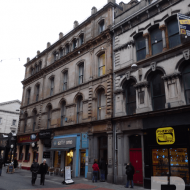 The building was built 1875-1878, shortly after the adjoining building (5-11 Lombard Street) which was designed by the same architect. Both buildings were the first to be developed on the newly formed Lombard Street which replaced two former entries; Leggs Lane and Caddells Entry. 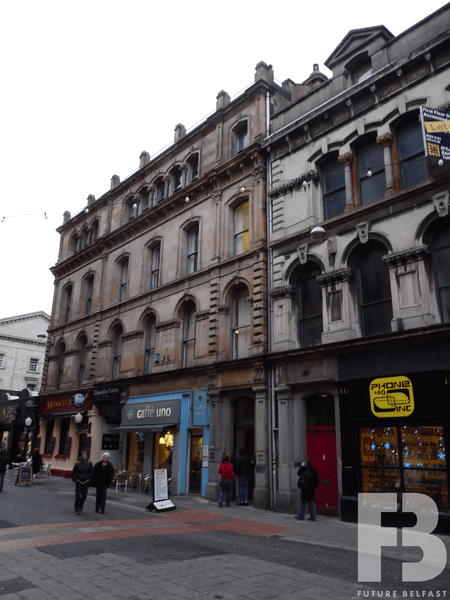 The ground floor unit to the left of the entrance to Winecellar Entry was first occupied by Boucher & Thompson, grocer and wine/ spirit merchants but had become The Monico by 1901. 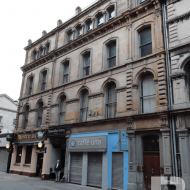 The Monico Bar continues to operate in the same location today. The building was B2 listed (HB26/50/282) in September 2011. 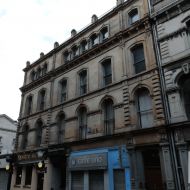 Leaside Investments Ltd submitted a Listed Building Consent application in January 2012 proposing to convert both 5-11 and 13-17 Lombard Street to hotel use with ground floor retail units. 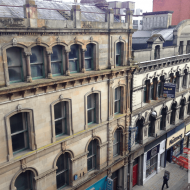 The application was approved in October 2012 and formed part of the former Royal Exchange redevelopment scheme. 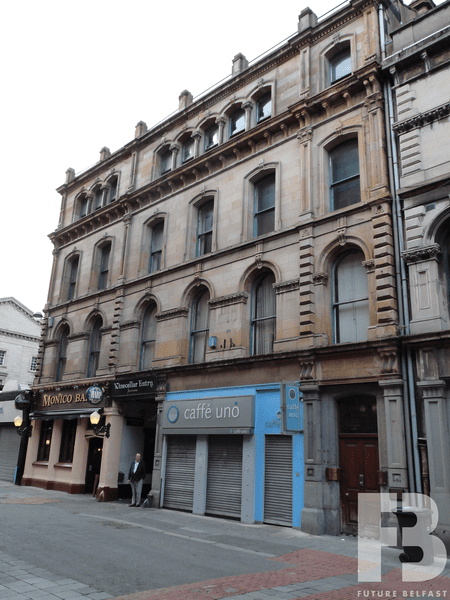 The ground floor is occupied by The Monico Bar and Cafe Uno. 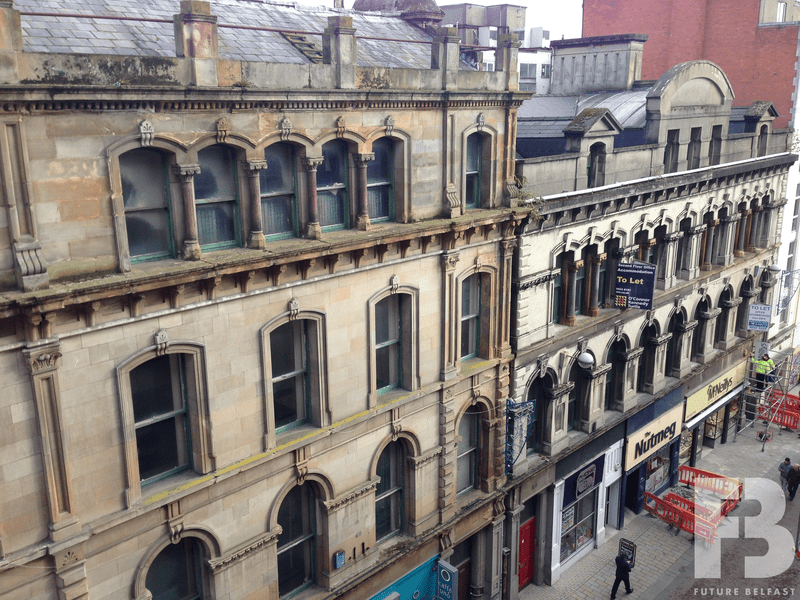 The upper floors are vacant (last used for office use). 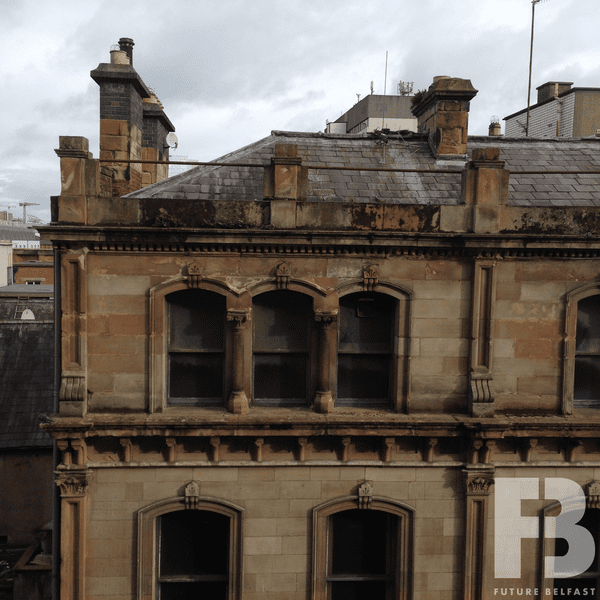 McKibben Commercial Property Consultants placed the upper floors of the building on the market in January 2019 with a sales price of £475,000. 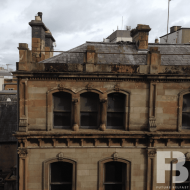 The sales brochure suggests that the property is suitable for a variety of uses including offices, residential, hotel or hostel (subject to planning). The sale comprises 6,770ft2 across the first (2,411ft2) second (2,292ft2) and third (2,067ft2) floors. The building is now (Feb 2019) sale agreed.